I wanted a natural-looking artificial pond: an elaborate lie, difficult to achieve. To create this illusion, I envisioned an irregular shape, lush ferns, towering granite boulders (I wish). Roughly fourteen feet long and one-third as wide, it would echo the proportions of the backyard. Up behind the pond, a modest cascade of recirculated water would flow down atop wide, flat stones. Along one edge of the water would lie a sloping beach of rounded river stones, so that humans and birds could approach without muddy feet. Half-buried rocks would stabilize other edges. Thick, high-tech black plastic (EPDM, a very durable and strong material) was specified for the liner. However, the liner edge would ruin the illusion I craved unless it was carefully hidden. I wanted stones in the ground, not on it, whispering permanence and age. 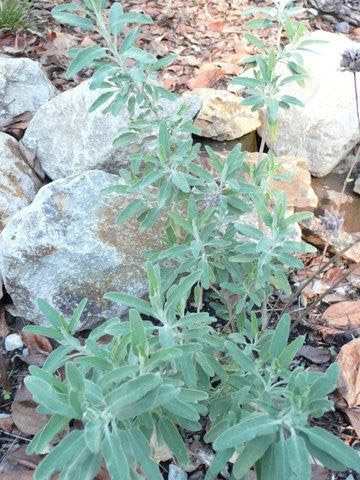 Each rock could boost the survival chances of a young plant, by capturing a tiny bit of rain runoff, and providing a protected, relatively moist area for roots beneath. I had been working with a thoughtful, creative native-plant landscape contractor. He helped me design hardscape and plantings for the rest of the backyard, and made plan-view sketches for the pond. (A plan view shows the area as seen from above.) He staked the pond perimeter, and provided plant lists. I wanted to do the planting myself. He also designed a biological filter “marsh” at one end of the pond, to cleanse the water. It would be made of volcanic gravel, with a small pump sending water slowly drifting through. Bits of dirt and debris disappear as they feed the bacteria and other organisms lodged in the gravel’s pores. I drove to several stone yards to shop for ornamental rocks, choosing Napa basalt. It resembles Sierra granite: light gray, with angular cleavage planes. The construction phase was verrry rocky. Six months came and went, but my contractor had no time to begin the project. Finally, I found another landscaper – also licensed, insured, recommended – who could start immediately. Finally! I showed him the plan drawing, walked him through the project on-site, emailed several photos to illustrate what I liked, and hastily gave the go-ahead. Wasn’t I surprised when thick, vertical walls of stone were built inside the plastic liner. 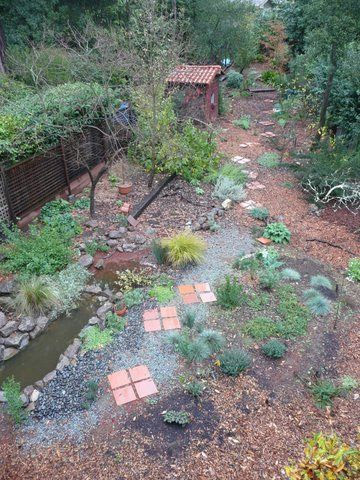 Too late, I realized my mistake: this new contractor and I had completely different assumptions about pond-building – mine with a liner plus external decorative rocks, his with internal rock walls. We weren’t aware of our differences because we never sat down together to talk (although I had requested such a meeting). We did not develop elevation drawings (cross-sectional views), nor perspective drawings. I was unhappy with this result, but the work had been done in good faith, and the construction was too expensive to change at this point. So much for being good at managing home improvement projects! But it was not too late for me to be a good neighbor. I phoned the mosquito abatement district a few days after filling my new pond with water. The county worker who visited gave me a quick lesson in mosquito natural history. I learned to recognize the tiny, dark egg clusters and the strange dancing larvae. Hundreds of these unmistakable “wigglers” had already appeared! I was simultaneously grossed-out and fascinated. They gave me a few mosquito-eating fish (Gambusia) to start my colony. But mosquitoes were not the only things spontaneously generating in my pond; I was yet to endure several more close encounters of the yucky kind. A nasty smell developed in the “marsh” area. My heart sank when I followed my nose to investigate. Apparently my second contractor hadn’t quite understood how the biologic filter was supposed to work; he had added plenty of soil in with the volcanic gravel. Organic matter in this soil was now rotting in the wet marsh, creating a foul mess. We had to shovel out all the soil and gravel, wash the gravel, clean out the pond, and dump the gravel back in. It was a laborious, slow process, involving buckets, tarps, a small pressure washer, and an old shop-vac (to remove muddy water from the pond). Only one moment of this misadventure was amusing: I was splattered with mud, when I found a big stoneworking hammer rusting away in the muck. Finders-keepers! By the time the smelly mud was just a memory, I had developed a keen interest in keeping leaves and dirt out of the pond. My gaze fell on a ten-foot tall ceanothus overhanging the pond. I worried that its leaves would fall year-round into the water. I cut that ceanothus to the ground. Satisfied, I surveyed my pond. Clean, sunlit water: good. Small, sunny pond: not good. The water got warm, then warmer, in the summer sun. In it, I soon discovered clouds of bright green stuff that ought to be called string algae. I checked on the internet: yup, that’s what other people call it too. At times I found bubbly algae as well. I re-purposed a big plastic kitchen strainer for periodically removing this limp harvest. Not surprisingly, plants provided the bright spot of the project. A native beach aster, Lessingia filaginafolia ‘Silver Carpet’, made a wide, low flower party on one side of the pond for the whole summer. Clumps of ‘Blue Bedder’ penstemon lit up the opposite shore. In the clean, wet volcanic gravel, we have a healthy stand of fuzzy-leaved Mimulus cardinalis (Scarlet Monkeyflower); it died back in winter but is popping up again now in spring. Juncus patens (Common Rush) is happy both in the pond and out. The ceanothus stump has sprouted vigorously, extending graceful, arching branches. I wish I could say I have the pond of my dreams. Algae must be weeded out, again. Then we’ll pour in a new batch of mosquitofish. Some rocks will be re-arranged, and more of the liner edge disguised. If I just add enough plants in and around the thing, it will be fine. Liz Katz lives in Oakland. She fell in love with native California plants by way of a class at Merritt College. Current pursuits include Nonviolent Communication, creative writing, and volunteering with the UC Berkeley Botanical Garden and WriterCoach Connection in the schools. This entry was posted in Garden Design, Habitat Gardening. Bookmark the permalink. Do you ever get up to White Cloud? It is home to the Tahoe Helitack station. A group of firefighters and their helicopter. This campground is tucked away in the trees, and has a number of buildings. Over the years I have seen a bit of an attempt to have a garden there. 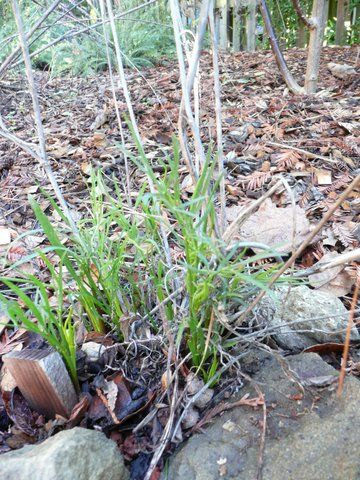 But It seemed like it was not native plants that were planted, and honestly they seemed to have failed. I am looking for ideas of seeds that could be introduced to the area, that are native, and could give these hard working men and women something pretty, and relaxing to look at. I have pictures of the location on my blog (http:/www.smallspacegardening.info ) I would love any ideas you can give me. Wow! Great article. Keep us posted on how it progresses over time. 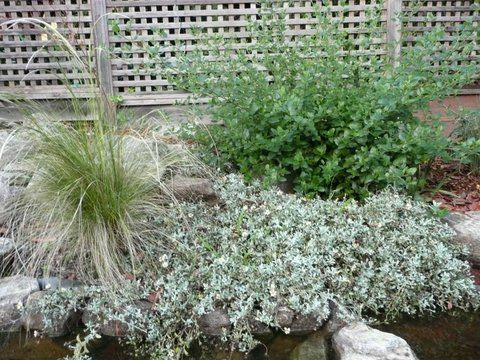 I’ve thought about building a pond and this has been wonderfully inspirational and cautionary – thanks for sharing! Interesting process and the part about communicating with a contractor. What bothers me is the part about adding the mosquito fish. they are voracious eaters and and are proliferate. You will never get a frog or salamander in this pond because they will eat everything. Get them out. What a tale of toil and caution! Likely will save many of us from following the same rocky path. Love your writing, like “whispering permanence and age” Makes it a pleasure to read and learn. Very informative for those of us who are planning to create a pond. Sorry that the first guy didn’t pan out, but at least you have learned what should have been done differently. It is a work in progress, but soon you will have your masterpiece.